Beacon Rock Wealth Advisors is a financial planning and registered investment advisory firm in Camas, Washington. Through our relationship with Prestige Home Mortgage in Vancouver, Washington we originate residential and reverse mortgages. Check us out at https://beaconrrwa.com and our affiliated websites at https://reverse-mortgages.us and https://socialsecurityquestionsanswered4u.com. We are always available to answer your finance questions. Give us a call at (800) 562-7096 or send an email to info@beaconrwa.com. If you or someone you know is worried about retirement, send us and email or give us a call for a no-obligation Retirement and Social Security Analysis. If you find this information useful, please forward this newsletter to a friend and ask them to subscribe at https://newsletters.beaconrwa.com/subscribe. 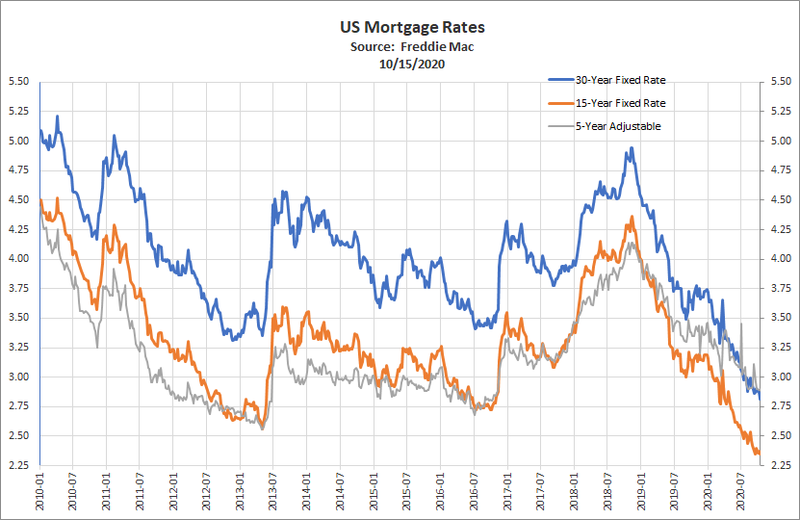 The 30-year fixed-rate mortgage (FRM) averaged 4.06% with an average 0.5 point for the week ending March 28, 2019, down from last week when it averaged 4.28%. A year ago at this time, the 30-year FRM averaged 4.40%. The 15-year FRM this week averaged 3.57% with an average 0.4 point, down from last week when it averaged 3.71%. A year ago at this time, the 15-year FRM averaged 3.90%. The 5-year Treasury-indexed hybrid adjustable-rate mortgage (ARM) averaged 3.75% with an average 0.3 point, down from last week when it averaged 3.84%. A year ago at this time, the 5-year ARM averaged 3.66%. Last week was an up week. The Down Jones Industrial Average ended up 1.67% to 25,928.68. The S&P500 ended up 1.20% to 2,834.40, and the Nasdaq Composite finished up 1.13% to 7,729.32. The annual yield on the 30-year Treasury ended off 7 basis points to 2.82%. Economic news for the week included a downward revision to last quarter’s economic growth in the U.S., mixed housing results, manufacturing sentiment and consumer sentiment, but a stronger trade balance. U.S. equity markets gained ground last week, while foreign stocks declined a bit, after being negatively affected by a stronger dollar. U.S. bonds rose for another week, with slower global growth pulling down interest rates and future expectations for yields generally. Commodities were mixed, with oil prices creeping upward slightly. (-) The final GDP estimate for Q4 of 2018 was released, and showed a downward revision of -0.4% to 2.2%, about a tenth lower than consensus, although a downgrade was largely baked into expectations. The primary culprits were downward revisions for personal consumption, government spending, as well as residential investment and business fixed investment—the latter two being mentioned specifically by the Fed as areas of recent weakness. Net exports, however, were revised upward a bit to help offset the damage. Core PCE inflation was barely nudged upward, remaining at a year-over-year rate of 1.9%. Although estimates for Q1 GDP began quite low, in the 0.5-1.0% range, they’ve since picked up a bit based on more recent data—now in the mid-1% range. The official Atlanta Fed GDPNow measure is running at 1.7% for Q1, while the traditionally more conservative New York Fed Nowcast estimate is currently anticipating 1.3%. However, these are subject to change as data is released and scrubbed. (0) Personal income in February rose by 0.2%, which was a tenth short of expectations, while spending, at a gain of 0.1%, fell two-tenths short. The personal savings rate fell by -0.2% to 7.5%, but continues to remain high following a sharp increase in December. This brought the personal income and spending numbers to increases of 4.2% and 3.7% year-over-year, respectively, although these results have moderated sharply lower over the last quarter. PCE inflation ticked down just under -0.1% for the month on a headline level, while it rose 0.1% on the core side. Year-over-year, headline and core PCE were up 1.4% and 1.8%, respectively, which is petroleum-price driven to a large degree but still well under the Fed target overall. (0/-) The Chicago PMI, a long-watched indicator of national manufacturing activity, fell by -6 points in March to 64.7, but remained in solidly expansionary territory. During the month, production, new orders and order backlogs experienced the most substantial declines, while employment and supplier deliveries gained ground. Prices paid also fell by the most substantial margin in a year and a half. The anecdotal question for the month related to expectations for upcoming orders in Q2, where just under half of respondents expected an increase in orders, but 15% expected a decline, which represents lessened optimism from the same time a year ago. Overall, the overall index points to continued expansion—just at a decelerated pace, per other data. (+) The FHFA house price index for January rose by 0.6%, beating forecasts calling for a 0.4% gain. All but one of the nine national regions saw gains, led by the Upper Midwest/Great Lakes and Mountain regions, up 1% each, while New England saw a price decline of nearly a percent for the month. The year-over-year rate of increase slowed by another tenth of a percent to a still-strong 5.6%. (-) On the other hand, the S&P/Case-Shiller home price index for the more concentrated sample of 20 large U.S. cities, came in with a small increase of 0.1% in January, falling short of the 0.3% median forecast. Prices rose in three-quarters of the index cities, led by Denver, Dallas and Detroit, which were up a half-percent; San Francisco fell to the rear by declining a half-percent on the month and continuing a trend of price declines. Year-over-year, national urban house price gains also decelerated further by a half-percent to 3.6%, which remains historically strong but far less robust than a year or two ago. (+) New home sales for February rose 4.9% to a seasonally-adjusted level of 667k, beating forecasts calling for 620k; the report included positive revisions for January, which were overwhelmed by negative revisions for December. All but one region gained ground, led by the Midwest and South, while new home sales in the West were little changed. Coming months during the start of the prime home selling season will set the tone as to whether or not the housing market can get off the ground. The year-over-year rate of change ticked slightly higher to 0.6%, which is stronger than substantial declines seen in Nov. and Dec. but far below the pace of 8-9% growth seen during the middle of last year. (-) Pending home sales for February fell by -1.0%, weaker than the expected -0.5% drop. Regionally, pending sales in the Midwest fell -7%, and were responsible for the bulk of the decline, followed by minor declines in the Northeast. The South gained by 2%, followed by small gains in the West. While likely weather-affected, these results point to tempered actual sales results in coming months. (-) Housing starts for February fell by -8.7% to a seasonally-adjusted annualized rate of 1.162 mil. units, below forecasts calling for just under a percent drop to 1.220 mil. units. However, there were positive revisions to both December and January. Under the hood, results were mixed, as multi-family units rose by 18%, while the larger and steadier single-family group fell by -17% to the lowest level in several years. Regionally, overall starts in the Midwest rose by over 25%, while they fell in the other three areas, most notably in the Northeast by -30%. Building permits fell -1.6% on the month, just a bit further than the -1.3% decline expected. Here, multi-family fell by -4%, while single-family were unchanged. Regionally, permits in the West fell by -15%, but gained slightly in all other areas. Weather no doubt plays a role this time of year in building activity, despite the seasonal adjustments, which aren’t always able to capture more extreme effects. (+) The trade balance for January fell to a level of -$51.1 bil., which was far tighter than the consensus estimate of -$57.0 bil. Imports fell by nearly -3%, as a percent gain in petroleum imports was more than offset by a -2% decline in the non-petroleum category, notably from drops in industrial supplies and capital goods. Exports increased by 1% for the month, led by double-digit increases in agriculture products and autos. The strength in exports may carry over positively to Q1 GDP if sustained. (-) The Conference Board’s consumer confidence index for March fell by -7.3 points to 124.1, far below the expected increase to 132.5. Household expectations for the future fell by a few points, but the index was driven more so by a sharp drop in perceptions of current conditions, which declined by -12 points. The labor differential, which measures the ease in finding jobs, also weakened by over -5 points to a multi-month low point. The latter metric has some economists scratching their heads, as this usually occurs during an economic slowdown, but we’ll need to see if this develops into a trend (as in a peaking and eventual reversal of labor market fortunes, which aren’t seen in other metrics). (+) The final Univ. of Michigan consumer sentiment index for March rose by 0.6 of a point to 98.4, which exceeded expectations calling for no change. Assessments of present conditions rose by several points, while expectations for the future declined by a half-point. Inflation expectations for the coming year ticked up by a tenth to 2.5%, matching unchanged expectations for the coming 5-10 year period. (0) Initial jobless claims for the Mar. 23 ending week fell by -5k to 211k, under the 220k level expected. Continuing claims for the Mar. 16 week, on the other hand, rose by 13k to 1.756 mil., but still below the 1.778 mil. level expected. No anomalies were reported by the DOL, and data continues to run at very low levels, indicative of a strong labor market. Politics and Corporations (Part 1): How do governments assess and contain corporate power? As potential Presidential primary contenders for 2020 jockey for position, a key issue that has been increasingly gaining steam is economic inequality. While the measurement of inequality and perceptions of a resurgence in corporate dominance in many global industries is a far broader topic—as is the impact of corporations in broader society (positive, negative, or somewhere in between, based on one’s view)—a more specific issue is focused on the implications of increased concentrations of corporate ownership as well as levels and use of profits. Each of those issues can be controversial political and economic topics in their own right. The first question focuses on what is perceived to be an increased concentration of power among fewer corporations, as well as a reduced competitive environment in a variety of markets. In some cases, this has reached the point of a single firm (monopoly) or several firms (oligopoly) dominating an industry. Some of this is a natural byproduct of corporations seeking efficiencies, which has led to mergers of similar firms in order to take advantage of perceived cost-saving synergies. This isn’t a recent phenomenon, and has been occurring over the last several decades at an increasing rate. There are risks in mergers, and not every merger is successful. In fact, some studies have shown that surprisingly few corporate mergers are economically productive by the time they’re completed, and have destroyed more shareholder value than they’ve created. However, this hasn’t stopped firms from continuing to make the attempt, especially during periods where organic economic growth is harder to come by. They also tend to occur in spurts, when capital is more readily available, such as when investors are keener on risk-taking and interest rates and spreads are low, which lead to favorable financing conditions. The Federal Trade Commission and the Department of Justice have the regulatory authority to review mergers to assure that they’re not damaging to markets or consumers, although the criteria for evaluation is quite gray and fewer such mergers have been challenged to a significant degree lately. While these evaluations tend to be more qualitative than quantitative, some measures have been developed, such as the widely used Herfindahl-Hirschman Index (HHI), which assigns a score to an industry based on the number of large competitors and their respective percentages of market share. HHI scores have been used by the government in anti-trust arguments, but, on average, these scores have steadily risen over the past few decades in many industries compared to prior historical levels. There are two schools of thought about increased corporate concentration, which not only economists but also regulators and the courts wrestle with in attempting to formulate and enforce anti-trust policy. The first is a classic approach of looking at the competitive environment. Is a single player or small group of players creating a ‘cartel’-like structure in order to keep out competition from smaller operators? While such behavior has gone on for centuries (and still does, for example in some emerging markets), classic examples were the well-known antics of late 19th century ‘robber barons,’ such as John D. Rockefeller and Cornelius Vanderbilt, who employed sometimes extreme techniques to either swallow up or drive out competitors in creating monopolies for their own businesses. Monopolies corner a market for a particular good or service and allow the provider to charge any price they like—leaving the consumer with little or no pricing power or substitute product options. A strong backlash against this trend led to the rise in American anti-trust legislation through the early 20th century, resulting in the breakup of several monopolies and a focus on fairer competition. The divestiture of Standard Oil at that time, and the later Bell telephone system (AT&T) as late as the early 1980s, are perhaps history’s more significant examples. There is also an important labor market component to this, which led to increased worker unionization, as well as higher wages and better working conditions for employees—which are related but different issues. However, all affect the degree of power corporations have over society, which is again being questioned in the midst of several tech behemoths rising to superpower status. The second component of evaluating the influence of corporations bypasses the competitive environment to some degree and focuses on the final impact to consumer prices and choice. A natural example of this is the rise in consumer spending funneled through a handful of web networks. In particular, firms like Amazon and Alibaba have become among the most important and powerful internet retail marketplaces. In addition, there have been a variety of examples where a concentrated number of tech players have made the competitive environment more difficult for smaller operators not participating in a larger platform, including web search, operating software, mobile phone app ecosystems, and social media. In short, which side is correct? Should the government focus on each industry’s competitive environment, and keep these from becoming overly concentrated in the hands of only a handful of leading firms? Or, should the focus be on the final impact on consumer prices and level of choice? Over the course of the 20th century, legal thought has moved from the former to the latter, with controversial former Supreme Court nominee Robert Bork playing a large role in the growth of legal thinking moving away from the competitive environment argument, and more toward the consumer impact side taking precedence in the 1980s under President Reagan. Investors, notably Warren Buffet and others in a similar vein, have long sought out ‘wide moat’ companies—defined as those having a strong competitive advantage over peers. Naturally, this means some type of oligopolistic power, and such firms typically earn higher net returns than firms in industries with more competitors. However, as something has to give, buyers of such products and services, businesses or consumers, often have to pay higher prices on average than they would otherwise. In traditional free market thought, such as that espoused by the late economist Milton Friedman, overly profitable conditions would entice new entrants into an industry, eventually increasing the amount of competition, which would drive down prices and profits to an equilibrium state. This has been more difficult in certain areas lately, such as technology, where a ‘winner take all’ outcome has become more common, and it’s been harder for smaller players to reach enough scale to gain a foothold. However, in other industries, there has been some consumer movement away from established firms, such as big banks, which were cast in a bad light during the financial crisis, towards ‘friendlier’ smaller community banks. This can also be seen in the ‘buy local’ movement, which is also essentially a vote against large corporations. These are difficult questions, with few obvious answers. If the burdens become too high, we start to see political pushback, surfacing already in the rhetoric of several political figures and even more so in the numbers of millennials identifying themselves as ‘anti-corporate’ or even ‘socialist.’ These trends can take a long time to play out, but if and when such thinking reaches extremes, the future investing environment may evolve as well. Historically, sentiment toward corporations has lived on a vast continuum, vacillating between positive and negative, largely based on how much of the ‘pie’ citizens feel has trickled down to them. Next week, we’ll be discussing the logistics and political criticism of corporate stock buybacks. U.S. stocks gained on the week, with little of substance other than apparent continued progress on U.S.-China trade talks and what seems to be some degree of perverse glee about slowing economic conditions (which would keep interest rates contained). By sector, cyclical industrials and materials led the way, with gains over 2% on the week, helped by a rebound in Boeing following announced improvements in their troubled 737 Max airplane. Utilities and communications services lagged with minor declines, as the latter was held back by rumors of increased regulatory scrutiny of the proposed T-Mobile/Sprint combination. Foreign stocks gained a bit in local terms, but a stronger dollar converted these gains into losses. Sentiment seemed affected by a variety of forces, primarily being another vote down of Brexit (despite PM May’s promises to depart afterward if it went forward), as well as ECB pledges to take continued action in order to stem weakened growth. Emerging markets and China appear to be driven by a continued inching towards a U.S.-China trade deal, which, although the timeline is uncertain and haggling over final details remains, the market appears to have priced in a successful conclusion. Otherwise, optimism over upcoming elections in India has been offset by further volatility in Turkey, where political pressure to strengthen the lira before elections over the weekend again led to concerns over central bank independence. U.S. bonds fared well again last week, as interest rates continued to temper in line with perceived Federal Reserve dovishness and concerns over slowness in global economic activity. Corporate credit outperformed governments, with both high yield and floating rate loans gaining nearly a percent for the week. A stronger U.S. dollar created a mixed environment for foreign debt, with developed market treasuries losing ground, and mixed results for emerging market—with USD bonds rising and local debt declining. Along with the lower long-term rates for bonds in the U.S., 10-year bond rates in both Germany and Japan have again moved below zero, reflecting their pessimistic outlooks. The U.S. yield curve is no longer inverted, with shorter-term rates, at least at the 2-year end, falling further below the 10-year with lessened concerns over the Fed raising rates this year. Real estate fared well last week, with results in keeping with equity markets, and again aided by lower interest rates. Asian REITs also gained, but foreign real estate overall was held back by weakness in Europe. Commodity markets were mixed on the week, with energy and industrial metals gaining ground, along with other risk assets, while precious metals and agriculture declined on the week, more in keeping with the stronger dollar. Offsetting the -4% drop in natural gas, the price of crude oil rose by 2%, or about $1/barrel to just over $60. Tighter supplies by OPEC appear to be the primary culprit, in addition to reports that U.S. shale has been rejected by some Asian refiners due to residual contaminants (shale is a lot ‘dirtier’ than conventional light crude, so requires much more refining to get it into usable form). Oil prices generally have experienced their strongest quarter in about a decade, similar to other risk assets such as equities. Sources: Ryan M. Long, CFA, FocusPoint Solutions, American Association for Individual Investors (AAII), Associated Press, Barclays Capital, Bloomberg, Citigroup, Deutsche Bank, FactSet, Financial Times, FRED Economic Research, Freddie Mac, Goldman Sachs, JPMorgan Asset Management, Marketfield Asset Management, Morgan Stanley, MSCI, Morningstar, Northern Trust, Oppenheimer Funds, PIMCO, Standard & Poor’s, StockCharts.com, The Conference Board, Thomson Reuters, U.S. Bureau of Economic Analysis, U.S. Federal Reserve, Wall Street Journal, The Washington Post. Index performance is shown as total return, which includes dividends, with the exception of MSCI-EM, which is quoted as price return/excluding dividends. Performance for the MSCI-EAFE and MSCI-EM indexes is quoted in U.S. Dollar investor terms. The information above has been obtained from sources considered reliable, but no representation is made as to its completeness, accuracy or timeliness. All information and opinions expressed are subject to change without notice. Information provided in this report is not intended to be, and should not be construed as, investment, legal or tax advice; and does not constitute an offer, or a solicitation of any offer, to buy or sell any security, investment or other product. Residential and reverse mortgages are offered through Prestige Home Mortgage in Vancouver, WA.